Our Miami team of real estate lawyers can assist in the structuring and drafting of your Florida Land Trust. Florida Land Trust is an effective vehicle to hold legal title to real estate in both Miami and throughout Florida. 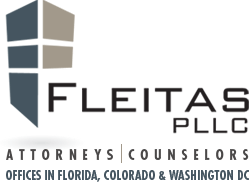 A Florida Land Trust is a legal instrument by which a trustee holds legal and equitable title to the real estate, and the beneficiaries hold personal property rights of use and enjoyment, under a Land Trust Agreement. Unlike a corporation or limited liability company there is no public record of beneficiaries. Title appears solely in the name of the Trustee and there are no requirements to register the trust. Land trusts offer many benefits, and we make sure our clients are aware of them.